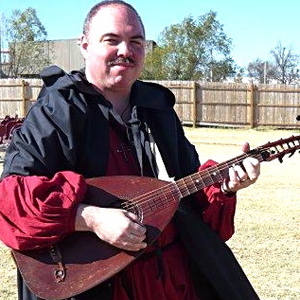 Fugli is a pseudo-medieval musician, scribe and artificer. With layered levels of simple instruments, his sounds are often uniquely archaic. While some of of his music may be entirely original, many of his tracks are personal arrangements of renaissance and medieval melodies from antiquity. In the ancient broadside tradition, Fugli also often combines the melodies of previously existing songs with variant lyrics. Modern critics may call these parodies, or filks. Fugli knows better and considers it all part of being a bard. In the ancient broadside tradition, Fugli also often combines the melodies of previously existing songs with variant lyrics. Modern critics may call these parodies, or filks. Fugli knows better and considers it all part of being a bard. In his secret identity of Jeremy Fowler-Lindemulder (shhhh! ), he also writes and performs with other musicians. Most notably, he plays with the St. John Praise Team on most Sunday mornings.